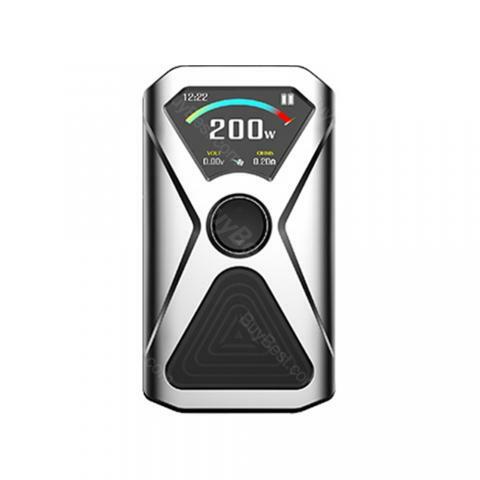 Kangertech XLUM Mod is powered by dual 18650 batteries to fire up to 200W to deliver huge cloud. 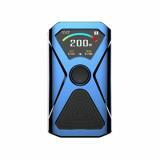 In addition, it has different output modes to give you different vaping experience. 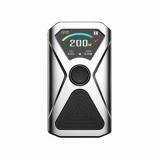 Kangertech XLUM Mod, which adopts the most advanced chip to ensure fast and stable firing, is powered by dual 18650 batteries to fire up to 200W. In addition, it comes with OLED screen to show status of vape clearly for easy operation and magnetic backpack design to ensure easy battery installation. It has different output modes that include Power Mode, TC- Ni, TC-Ti, TC-SS to give you different feelings.So please don't wait, just take it. • Three-month warranty for XLUM Mod. 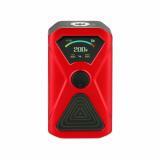 • Quick link: IMR 18650 Li-ion Battery, XLUM Tank. 200W Kangertech XLUM Mod is powered by dual 18650 batteries. The XLUM fires a maximum output of 200W. The XLUM adopts sparkling LED light.The XLUM Kit by KangerTech is equipped with a smooth adjustable airflow system and a 4.5 ml capacity tank with replaceable bulb glass tube.